How to order: (1) You pick the curry dish first (2) customize the level of spiciness from 0 to 5 (there is also vegetables-based kids curry), (3) pick the amount of rice, (4) add toppings if you want. For starters, we had sausage salad ($7) and salmon cream croquette ($4). The sausage salad came with soy dressing, which tasted like concentrated vitasoy! It brought out the child in me. The croquette was very creamy and smooth potato puree with just a slight hint of salmon-ness in it. Good stuff! Yumyum’s Pork Cutlet with cheese ($14): The pork cutlet didn’t suit me because the batter was thick and the meat wasn’t tender. But the good thing is it was oil-free. But because you know, I’m a carnivore, I added a topping of fried chicken ($4) which looked like popcorn chicken. A little tough for me. I think in general, the restaurant isn’t very good with deep fried meats, an area they need to improve on. We also tried Hashed beef curry ($13) with a topping of mushroom (+$3). Another awesome dish! It wasn’t as spicy and had more tomato in it, making this a dish that you can keep eating without feeling excess or in Singlish, you can eat until siao but don’t feel jerlak. Desserts: we shared three scoops of Italian ice cream ($7): vanilla, chocolate and strawberry sorbet. The vanilla was very rich; and I like the chocolate which was intense and bitter like my love. Given the yoshinoya-alike decor, and given that there are some negative reviews, I was very pleasantly surprised that the food turned out to be fantastic and value-for-money. Where else in Orchard can you find such a deal? $13 for curry rice?? Even cai fan these days cost $8 (at Bugis Junction)! No wonder the queue is endless during lunches and dinners. Too bad it doesn’t take reservations. 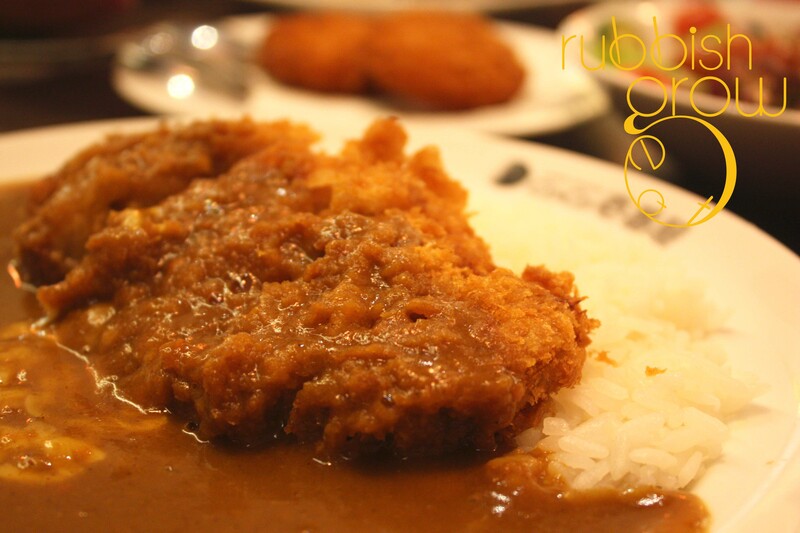 Is Coco Ichibanya the King of Curry? Ya, it’s Ichiban! 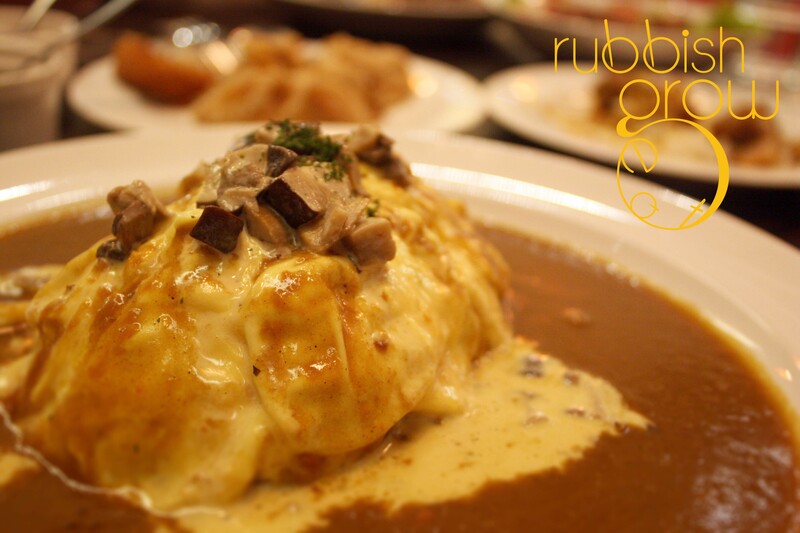 Hashed beef curry is not a curry dish,is known as hayashi rice,did ichibanya actually name it as a curry dish?if so must be a joke!!!! sometimes companies change names so that local people can understand it better. Lots of French dishes are changed to English names. They can translate into English to let local understand.but if the dish itself is not a curry,how can they label it as curry?is just like we translate satay bee Hoon into vermicelli curry.it is not curry but it does look like curry to foreigner,this is misleading. Hashed beef is more like beef stew,but definitely not curry.. So many misleading info,one blogger actually said they have non-spicy Hiyashi sauce…now that’s interesting,this translate into non spicy cold sauce. 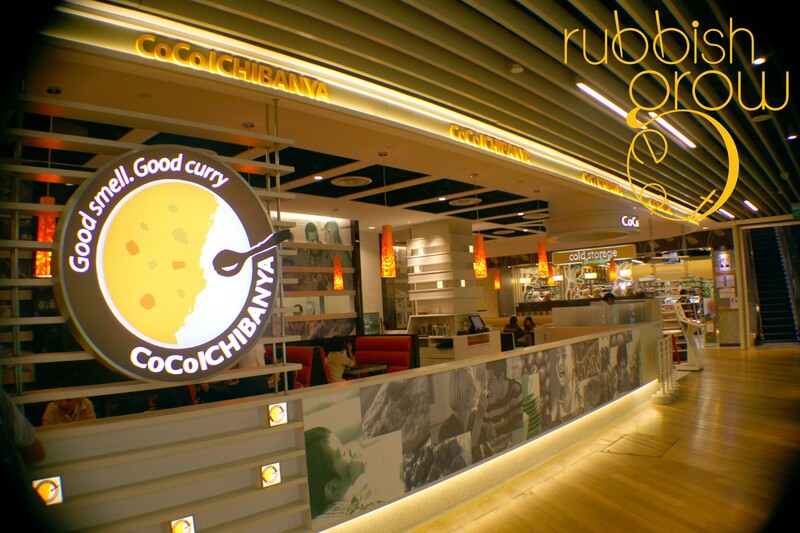 Does coco ichibanya actually serve cold curry?